Plus, Phantom Ganon and Smash Burst Powers. Koei Tecmo has released first details and screenshots of its newly announced Hyrule Warriors Legends Skull Kid character, Phantom Ganon boss, and Smash Burst Power system. 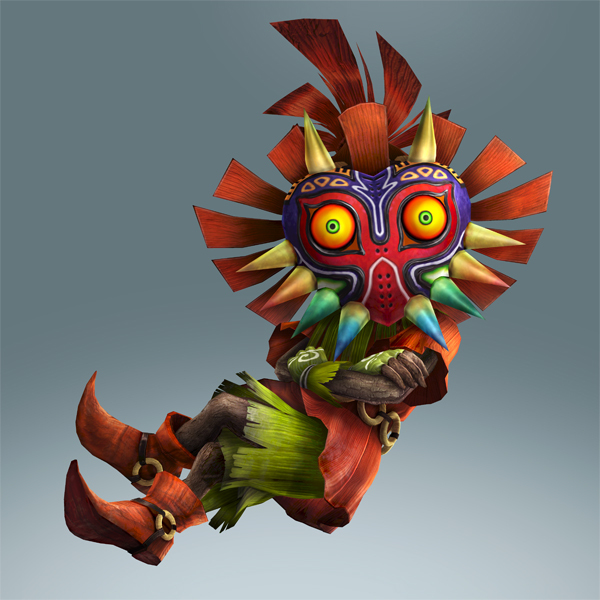 A Skull Kid that steals the hero’s ocarina and places a curse on him in a different world. He is violent and mischievous, but values his friends. 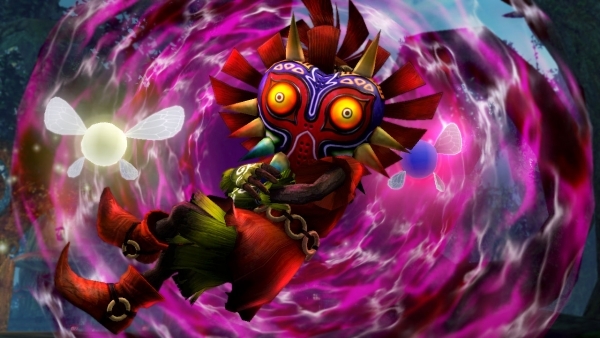 He fights alongside his fairy friends Tatl and Tael, and uses an ocarina as his weapon. The new story for Skull Kid has a picture-story-style presentation. If you purchase both Hyrule Warriors Legends for 3DS and Hyrule Warriors for Wii U, you’ll be able to play as Skull Kid in the Wii U version, as well. 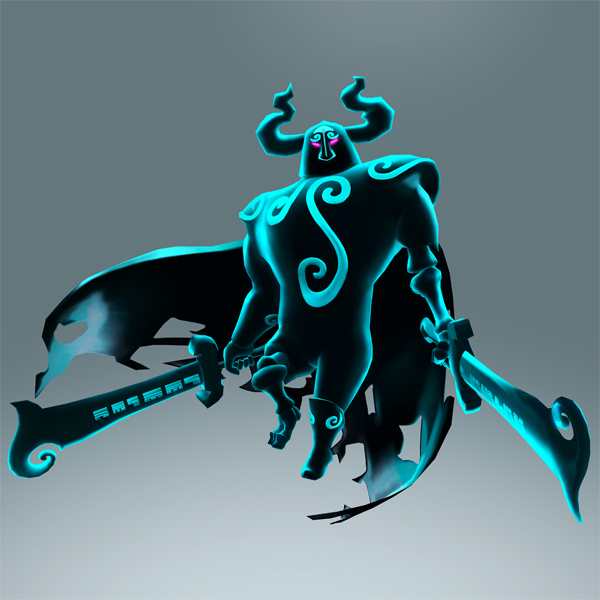 Phantom Ganon, from The Legend of Zelda: The Wind Waker, will appear as a new enemy character. He uses a large sword to deliver powerful attacks like heavy blows and magic bullets. By utilizing the “Player Change” and “Ocarina Warp” systems, and gathering up to four player characters around a giant enemy, beneficial “Smash Burst Power” effects will occur, such as your magic gauge being restored. A new stage with elements from The Legend of Zelda: The Wind Waker will appear. 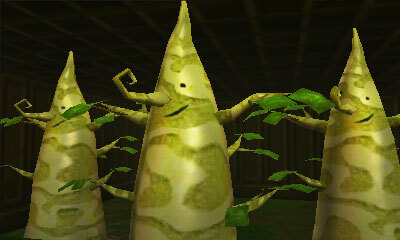 For example, the “Earth Temple” and “Wind Temple” will appear, as well as Wind Waker‘s Makar character. Hyrule Warriors Legends will launch for 3DS in Japan on January 21, and in North America and Europe in Q1 2016. 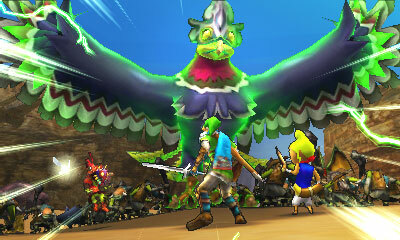 View the 3DS screenshots here and Wii U screenshots here.